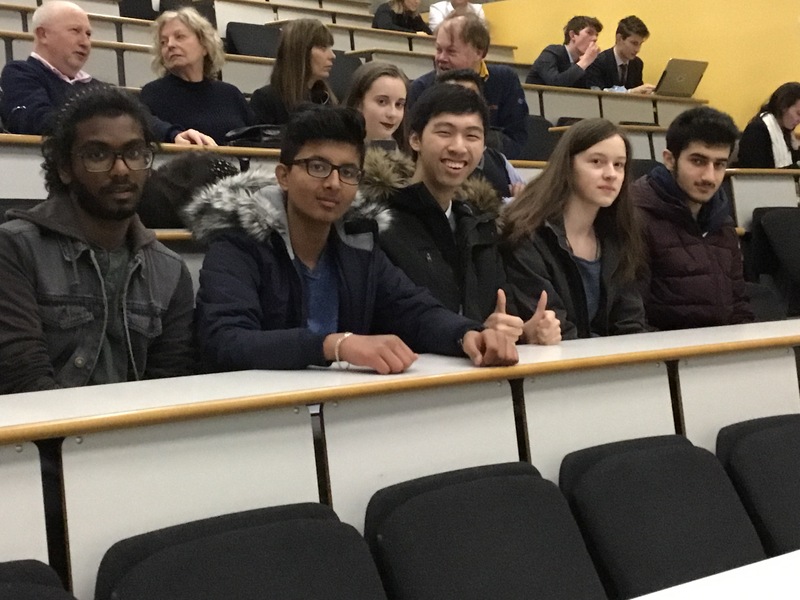 On Wednesday 7 February, Year 12 STEM students, along with Mr Cumbers and Mr Senior, attended an evening lecture at Imperial College, University of London. Ten PhD students at Imperial presented their cutting-edge research into Controlled Quantum Dynamics. The lecture was really helpful to expand understanding beyond the syllabus and was definitely stretching! A great experience that will prove useful for personal statements later in the year. Talks included – Quantum clocks and the race for time which outlined how the national physical laboratory is the centre for timekeeping in the UK. Quantum clocks could be highly applicable for highly accurate GPS tracking. Controlled Quantum Dynamics was also explained by exploring the role of super positioning, hidden variables, quantum cryptography, quantum tunneling, spontaneous collapse and, finally, quantum entanglement! Sama Rabab,Bill Dobbie, Mohamad Al Hussaini, Prithihan Yogarajah, Daisy Constantinou, Jawad Bokhari are the successful Year 10 students that have been successful in securing a half term work experience placement with M & G Investments in the City of London. The students applied through S4SNextGen, an initiative that links leading organisations with state schools, targeting students who would not normally have access to placements such as these. Duvina Toolsee in Year 11 took part in a placement with M & G last year. 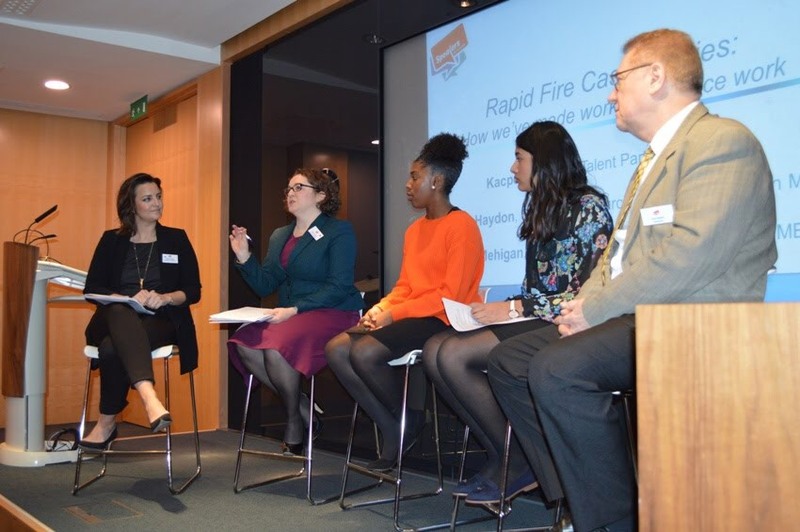 Duvina recently attended a symposium event to share her experiences with leading companies such as Virgin Money, British Airways, and the Bank of England. After winning the local final of the Future Chef competition, on Tuesday 6th February 2018, Grace Ojumu 8C represented KHS in the regional final. 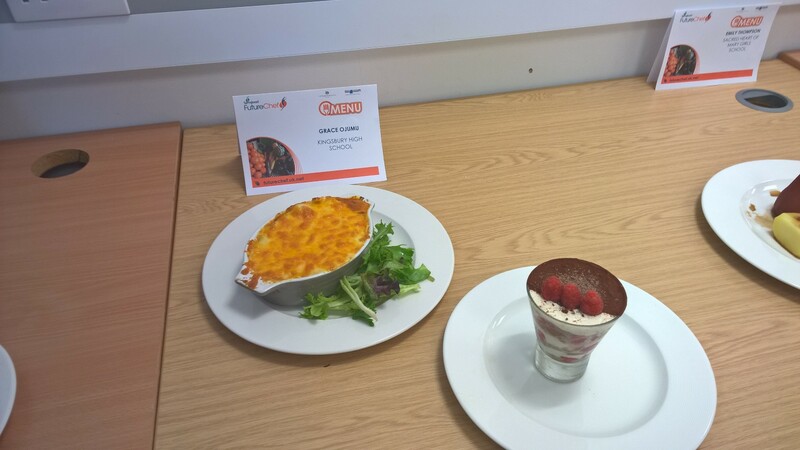 The competition which took place in London South East College, Orpington Bromley had participants from six other schools including Blenhein Surrey, Passmores Academy, Featherstone High School and Sacred Heart of Mary Girls School.The students were required to make a two-course meal within ninety minutes. Students were judged by highly experienced chefs who focused on their competence at using cooking skills, the texture, flavour, presentation of their dishes and their ability to apply hygiene and safety rules.I commend Grace for getting to this stage of the competition. She has been a great role model to other students in the school. I am sure that the skills she has gained from the process and feedback from the judges will motivate her to continue to explore her passion for cooking. The winning menu was a venison dish served on a bed of butterscotch sauce and a well garnished panna cotta. Thank you Chef Mick for his commitment and dedication to the mentoring sessions and a special thank you to ms McNeil, Mr Froy, Ms Vekaria and the PEEL department for supporting and arranging for the chef’s visit and the competitions. 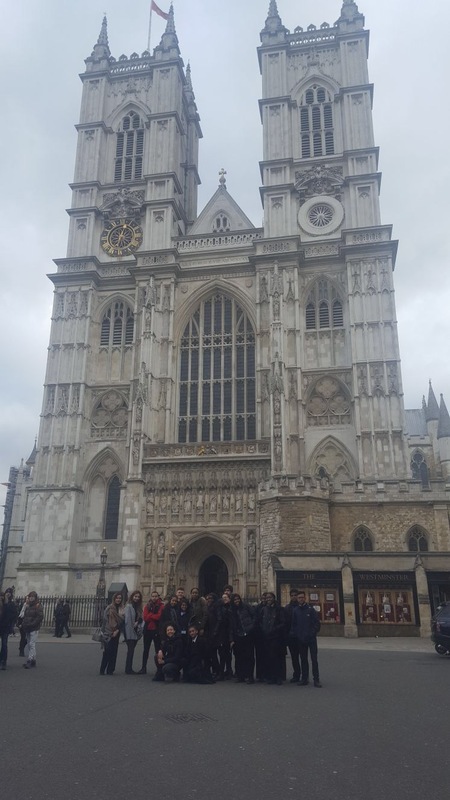 We were very lucky to be given this opportunity to visit Westminster Abbey. It was a very interesting trip. Firstly, it must be established that it is a beautiful place with extravagant features. The history behind the actual place is just as captivating as what is inside it. We looked at the tombs of many recognisable historical figures such as Henry VII and his wife, Elizabeth of York. We also saw some fascinating things such as the coronation chair and Britain’s ‘oldest’ surviving door which was constructed in the 1050’s. We also saw the grave of the unknown warrior. This is a moving memorial to the millions of soldiers who were killed during World War 1, but whose bodies were never found. We also visited a section dedicated to famous poets. Overall, the trip was very insightful, informative and at the same time enjoyable. 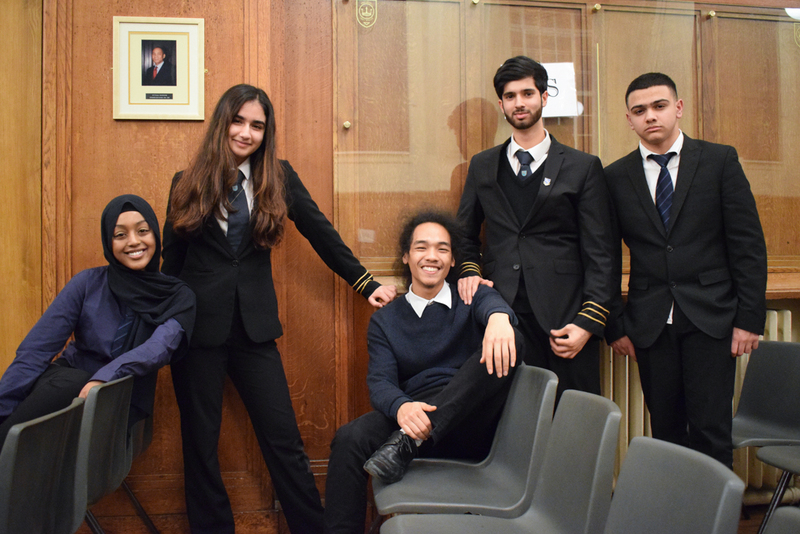 The school recently hosted the Second Round of the English Speaking Union’s Mace Debating Competition in K Hall, playing host to, and competing against, Harrow School, Immanuel College, Merchant Taylors’, St Helen’s and Whitmore High School for a place in the West London Finals. 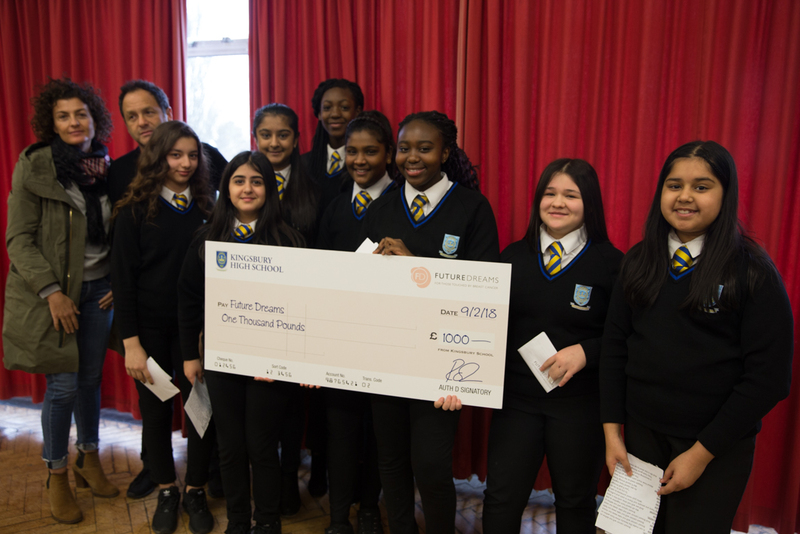 It was a closely fought contest, with all teams contributing to an evening of high quality and enjoyable debating on motions relating to charitable symbols, manipulated images in the media and religious symbols in the workplace. Kingsbury’s team – Siham Sahal (Year 12) and Nauman Zahid (Year 13) – were a credit to the school and debated with distinction. At the end of the evening St Helen’s deservedly took first place but our students should be proud of their performance against some very strong teams. 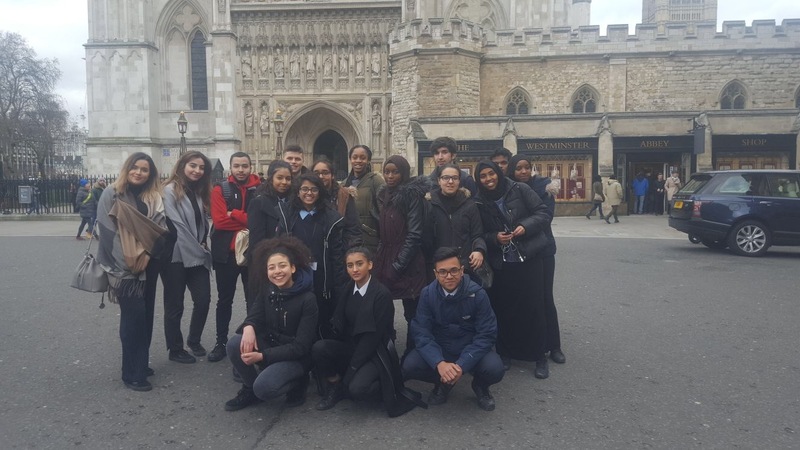 Kingsbury debaters will be back in action later in the month for the Oxford Union Schools Competition on 21st February at Finchley Catholic High School and on 24th February for the UCL Debating Cup. They will also be travelling to Cambridge on Saturday 3rd March for National Finals Day of the Cambridge Union Schools Competition. On the 31 January KHS hosted The Be Strong Online Ambassador training day. 8 schools joined the KHS Be Strong Online Ambassadors in an all-day training session during which the students met other students with the same passion to help and support their peers. The Day was led by The Diana Award Anti-Bullying Campaign, the Diana Award was set up in memory of the work of Princess Diana. This charity supports young adults in their learning about the different challenges teenagers have to face in their day to day lives in our modern digital world. During a number of workshops students gained awareness of the impacts the internet has on this generation and how to cope with the stress of dealing with this. Students had to think about what impact social media can have on each individual and the consequences any online activity may bring. An eye opening honest workshop that highlighted the reality and importance of online presence, knowledge and understanding. All students that took part in the workshop are now qualified Be Strong Online Ambassadors. KHS has 5 Ambassadors for each year group, each student applied for the opportunity by writing a letter with their hopes and aspirations for the project. 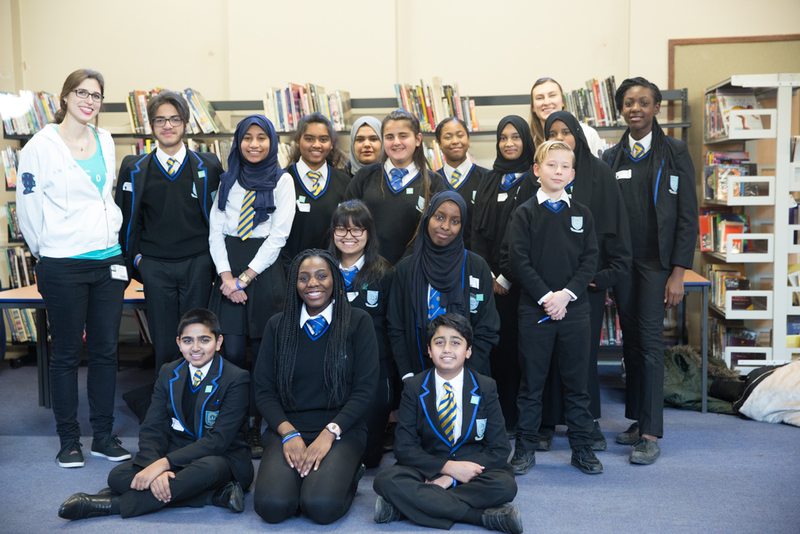 They will be responsible for running short educational sessions for students on online safety, facilitating discussions about students’ digital lives and online behaviour, and running campaigns across our school to raise awareness of digital issues. Our Ambassadors are now getting ready to launch the Campaign across our school. ‘It was wonderful to see our hall filled with 120 passionate young people from all across London come to Kingsbury with a commitment to help our young people be resilient when managing themselves online. Throughout the day the hall was buzzing with energy and ideas and a determination to make an impact on their school communities. I am certainly looking forward to seeing our own Kingsbury Be Strong Online Ambassadors get to work, to support our students dealing with the complexities of being online.’ Sarah Purtill, Head of Safeguarding.